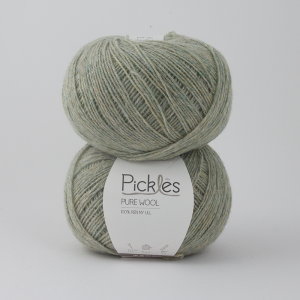 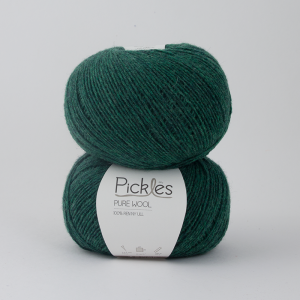 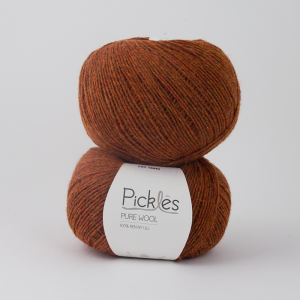 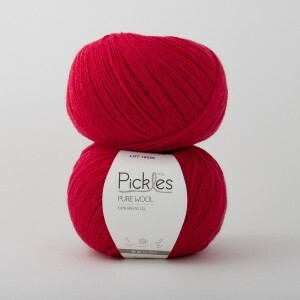 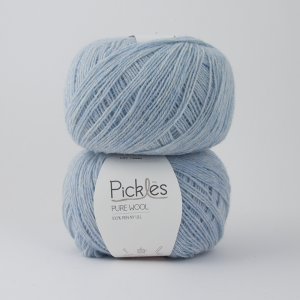 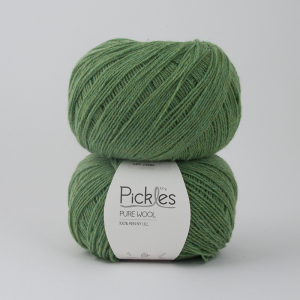 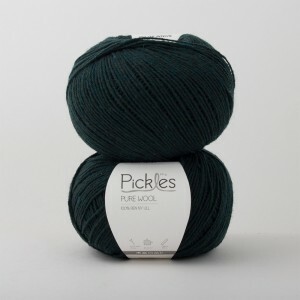 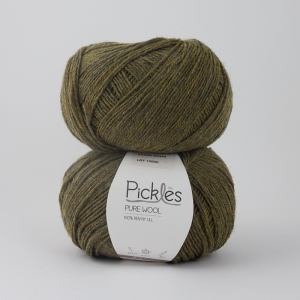 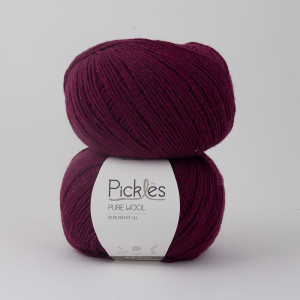 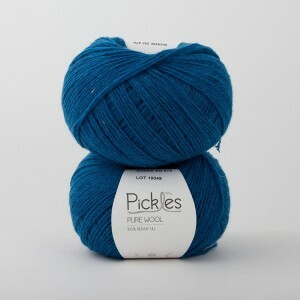 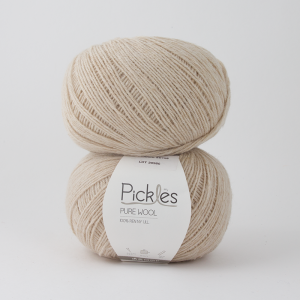 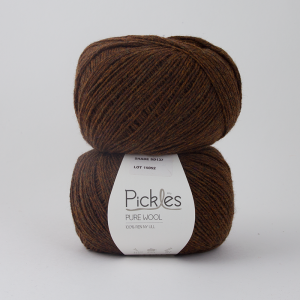 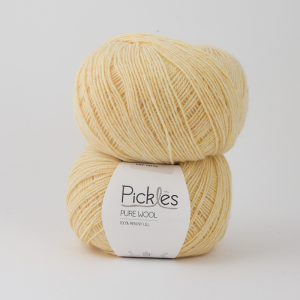 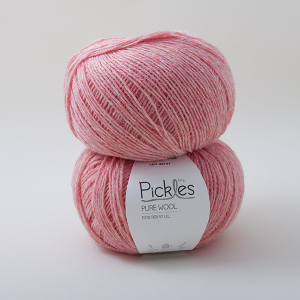 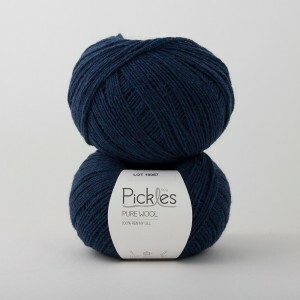 Pickles Pure Wool is a beautiful yarn with a wide range of uses. 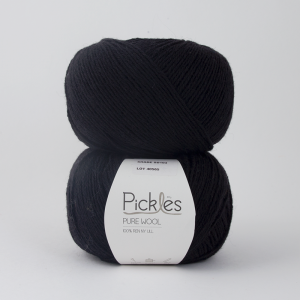 Yes, it's actually our most durable yarn. 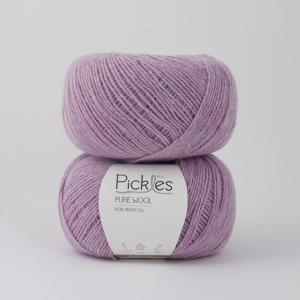 The yarn creates lightweight, delicate garments, which become softer and softer the more they are used, yet remain impeccable. 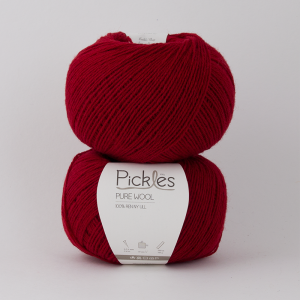 We fell in love with its soft, harmonic marls and use it in everything from fluffy jackets to tightly knitted hats. 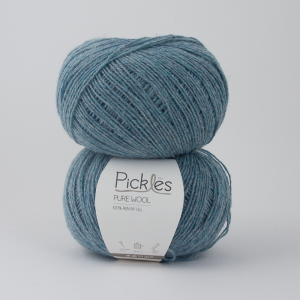 The yarn also looks great held double. 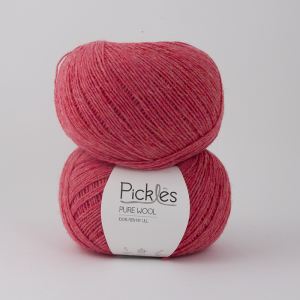 The yarn is not completely processed and therefore must be washed after knitting to loosen the wool and soften the garment.